June has always been a pivotal month for major league teams, and it was the month that three members of the 500 Home Run Club hit their pivotal long balls. Although his landmark 500th home run came the night before (May 31, 2008) http://www.youtube.com/watch?v=erpNrURLVA4&feature=related Manny Ramirez (507+) was still celebrating becoming the newest member of The 500 Home Run Club on June 1st. Ramírez hit the first pitch hitting off Baltimore Orioles right-hander Chad Bradford into the seats in right-center in the seventh inning to become the 24th major leaguer to reach the milestone. He stood and watched the flight of the ball, then took off around the bases in a slow trot, a broad smile on his face. Ramírez slapped a high-five with the first-base coach Luis Alicea, tapped hands with the third-base coach DeMarlo Hale, then hugged the on-deck hitter Mike Lowell as he crossed the plate. Many of his teammates greeted him as he reached the dugout, where he received more hugs and bounced up and down in an embrace with David Ortiz and Julio Lugo. "As soon as I hit it, I knew it was gone," Ramirez said. "So I was happy to move on." Ramirez was slow reaching the milestone. He hit No. 496 on April 19 and had only three in 34 games before hitting #500. The solo shot traveled an estimated 410 feet and gave Boston a 5-3 lead. In his first at-bat, Ramirez hit a fly to the warning track in left field. He then grounded out to third and lined out to left before going deep in his fourth trip to the plate. "I just wanted to get a good swing on the ball all day," Ramirez said. "And I did."" Before each at-bat by the dreadlocked slugger, plate umpire Bob Davidson was given a special set of baseballs so there would be no confusion over which one was No. 500 if it landed in the seats. The ball was caught by a Red Sox fan, Damon Woo, who presented Ramirez with the ball after the game. Ramirez said he will sell the ball and give the money to charity. Following the 393-foot solo blast into the stands at Busch Stadium, Junior was immediately swarmed by his teammates. "It's been a lot of fun," Ken Griffey Jr. said. "It was awesome. Never in my wildest dreams did I think I'd ever accomplish something like this. All the aches and pains that I've had this year were gone while I rounded the bases." At the start of the 1960 season, only three players had hit 500 home runs in their career. On June 17, 1960, this slugger hit his 500th home run, ending a 15-year drought of additions to the 500-homer club. 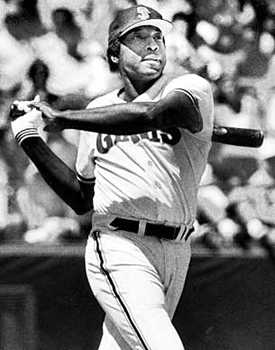 Who was the newest member of the club in 1960, and would finish his career with 521 career home runs? Sammy Sosa hit the most home runs ever in a single month, when he crushed 20 long balls during June 1998 as a Chicago Cub. 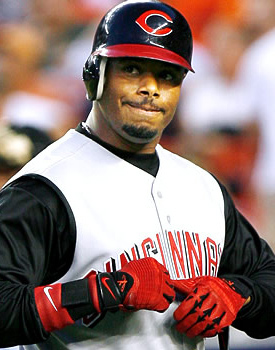 Ken Griffey, Jr. broke Ruth's MLB record for the most home runs by end of June when he hit number 32 …in June of 1994. But, just as he has with so many other home run records, Barry Bonds shattered this previous high mark when he hit at total of 39 home runs by June 30th 2001.